Sharks fans are eternal optimists. Perhaps I should qualify that statement by saying “Sharks fans used to be eternal optimists” – the spectator numbers at Kingspark have dwindled sharply during the last year or two, perhaps an indication that the perennial optimists prefer to be somewhere else when their team lets them down, again. Perhaps 2018 will be their year? The problem is that they have been saying that every year is “their year” – 2008 through to 2018. It is all very frustrating, because the Sharks have always had the firepower, the talent, the ability, yet they always seem to slip up just when they should be charging ahead of the pack. Last year was no different, despite making it through to a quarterfinal against the Lions, they slipped against the most innocuous of opponents along the way. In 2017 they lost to the Reds, drew with the Rebels, and then lost to the Kings, and the Bulls. Three losses and a draw against the real bottom-feeders of the Super Rugby pond! 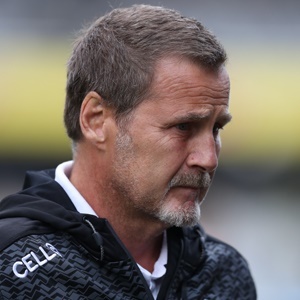 During 2017 Coach Robert du Preez played to a game plan that favoured the old style of mid-field pressure through consecutive pods of forwards, using a powerful pack to dominate opponents. This was a traditionally South African approach, and it worked well against weaker opponents, sometimes it worked against one or another of the big guns too, but often ran into the wall when cleverer, more mobile opponents showed up, they simply took the game away from contact with the Sharks forwards, and ran them ragged. 2018 will need to different, with a more ambitious game plan, modern thinking and tactics. They certainly have the squad that can play the fast, open game. The recruitment of Robert du Preez (Jnr) from the Stormers is perhaps the key to unlocking this style of play. The arrival of speedsters Leolin Zas and Maka Mapimpi adds to an already mobile back division that includes Lwazi Mvovu. Curwin Bosch, Lukhanyo Am, Jeremy Ward and S’bu Nkosi. They have the pace, they have the running skills, they have the ball skills, all they need is the confidence, and carte blanche from the coach to play attacking rugby! The pack of forwards remains a formidable outfit, though it might lack the edge in mobility, some of those big units, the likes of Thomas du Toit, Ross Geldenhuys, Beast Mtawarira, and Coenie Oosthuizen, even the Du Preez twins, take a while to get up to speed. The fixture list for the year is fair, but does have a challenge or two. The Sharks start away from home against the Lions, then have an early bye, before hosting the Waratahs and the Sunwolves at Kings Park. Nice preparation for a four-week tour that starts with the Brumbies, then the Rebels, the Blues and finishing with a tough nut against the Hurricanes. Once they return, it is four weeks at home, one of which is a bye. They host the Bulls, the Stormers, and the Highlanders, before they head to Pretoria to play the Bulls. Back home to tackle the Chiefs, before heading to Argentina and the Jaguares in the weekend before the June Test Window. When rugby restarts, the Sharks host the Lions, play the Stormers at Newlands, and finish the regular season at home to the Jaguares. The Sharks has been runners-up five times, losing semi-finalists four times and reached the quarterfinals on another two occasions. If Robert du Preez (the coach, not the flyhalf) gives his team the opportunity to exploit their undoubted talents, then Robert du Preez (the son, not the father) could lead them to a great season. If they move on from forward pod based rugby to playing the wide game, perhaps using the All Blacks 2/4/2 style in order to use their power pack effectively, then the Sharks will have plenty to offer. They have the manpower, but do they have the brainpower? I expect a better 2018, and they will be challenging for a playoff spot again. This time it might just be the Sharks year. I do have my doubts.